Dr Poemen Chan graduated from The University of Hong Kong with multiple scholarships and awards, including CP Fong Gold Medal in Medicine, H.C. Liu Prizes in Anatomy, Mr & Mrs S. H. Wong Foundation Scholarship, BL Wong Scholarships and Yu Chun Keung Mem. Scholarships. He was trained in Hong Kong Eye Hospital since 2007 and was promoted associated consultant in 2014. During his ophthalmology training, he granted the HC Ho Medical Education Foundation Scholarship for his overseas clinical visit in Moorfield’s Eye Hospital (London, UK) and Prism’s Eye Institute (Toronto, Canada). During the service, he received the Best Poster Display Award in the Hospital Authority Convention 2014, Outstanding Staff and Team Award in Hospital Authority Convention 2016 and The Best Service Provider award of Hong Kong Eye Hospital. 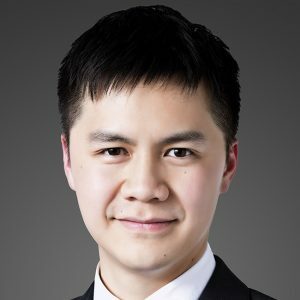 Dr Chan is currently the coordinator of the CUHK-HKEH-PWH International Fellowship Programme, the programme director of glaucoma surgery subspecialty for the CUHK Jockey Club Ophthalmic Microsurgical Training Programme and the Academic Coordinator of the glaucoma service of Hong Kong Eye Hospital. He serves as glaucoma subspecialty liaison for World Ophthalmology Congress (WOC) 2018, Secretary of glaucoma subspecialty for The 33rd Asia-Pacific Academy of Ophthalmology (APAO) Congress 2018 and as International Advisory Committee of The Association for Research in Vision and Ophthalmology- Asia (ARVO-Asia) in 2017. To development of a system of cost-effective treatment in Ophthalmology. To investigate the variability of risk estimation in glaucoma. To investigate the long term results of untreated ocular hypertension in Asian population. Development of a new surgical technique of conjunctival closure in trabeculectomy. Demonstrated how different methods of assessing vertical cup-to-disc ratio could affect the risk assessment for untreated ocular hypertensive eyes and how such variability could affect treatment decision. Chan PP, Li EY, Tsoi KF, Kwong YY, Tham CC. Cost-effectiveness of phacoemulsification versus combined phacotrabeculectomy for treating primary angle closure glaucoma. J Glaucoma 2017;26:911-22. Chan PP, Tham CC. Commentary on effectiveness of early lens extraction for the treatment of primary angle-closure glaucoma (EAGLE). Ann Eye Sci. 2017. Apr 22; 2(21):1-4. Tan S, Yu M, Baig N, Chan PP, Tang FY, Tham CC. Circadian intraocular pressure fluctuation and disease progression in primary angle closure glaucoma. IOVS 2015;56:4994-5005. Chan PP, Li EY, Tham CC. Cost-effectiveness in the treatment of glaucoma (Review). US Ophthalmic Review, 2014;7(2):131–6. Leung DYL, Chan PPM, Tham CCY, Lam DSC. Normal tension glaucoma: risk factors pertaining to a sick eye in a sick body (Review). HKJO (13:1) 2009; 15-21.